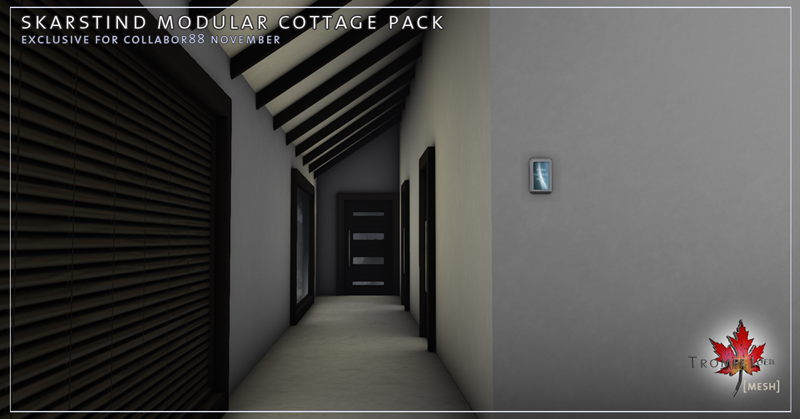 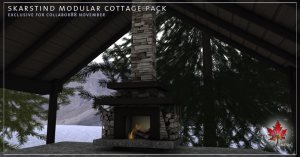 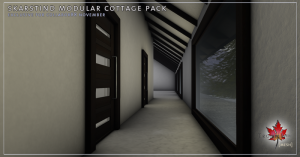 The cold crisp air of November brings Swedish styling and modern class to this month’s Collabor88 – starting with our new Skarstind Modular Cottage Pack in dark wood trim, mix and match any of the three elements to create a compound exactly your size and style! 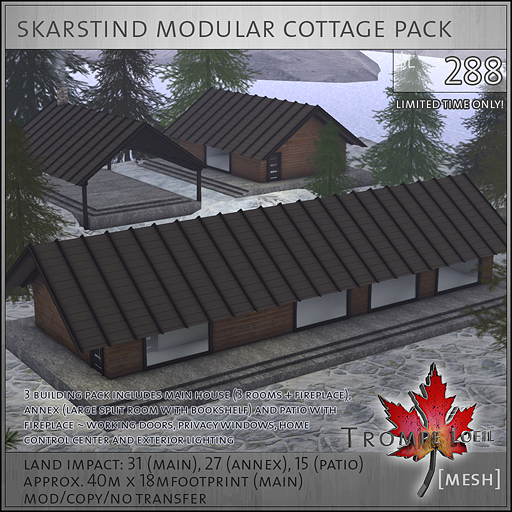 The Skarstind features a main house build with peaked ceilings, built-in stone fireplace with working fire, and two bedrooms located off the entry hall. 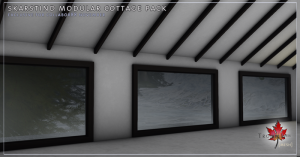 Huge picture windows frame the view outside, and our *home control center scripting lets you manage the privacy windows, exterior lighting and doors with ease. 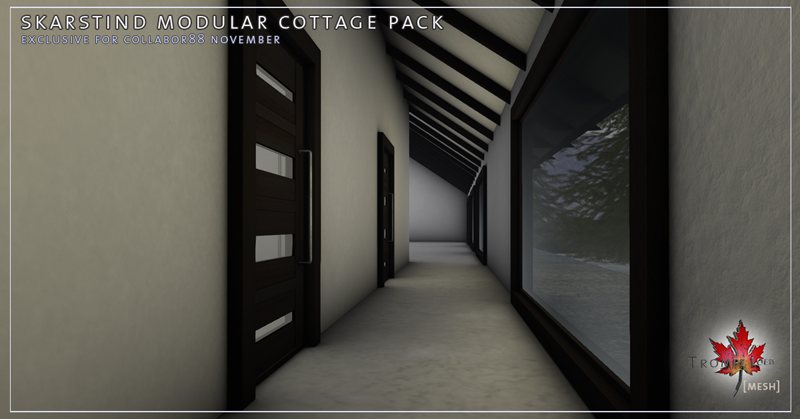 The Skarstind Annex is a separate build – a split room that functions as one or two additional bedrooms, office, bath, or whatever you wish. A built-in bookshelf facing the picture window shows off your treasures. 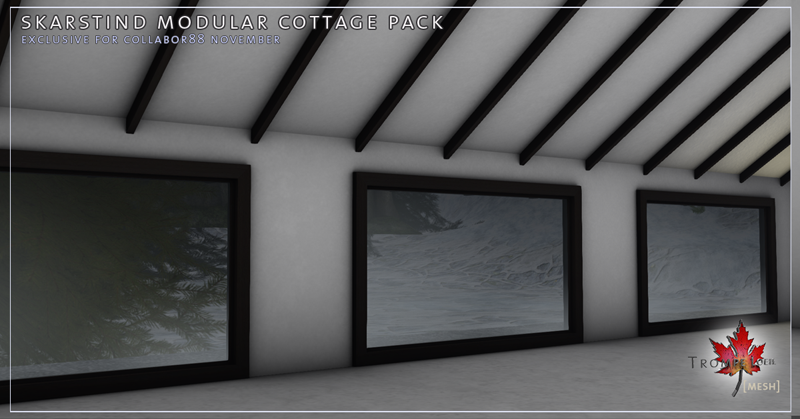 The Annex features its own *home control center for doors, windows, and exterior light. 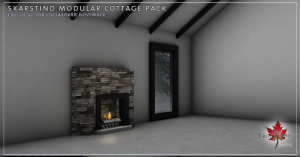 Finally the Skarstind Patio features its own stone fireplace with working fire and works wonderfully as a centerpoint to your compound build. We’ve included a Patio without fireplace, plus a standalone fireplace, in the package for your convenience. 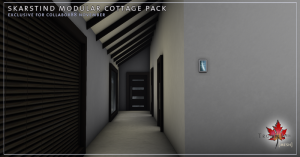 Use as many of each build as you like and connect them with paths, trails, bridges or whatever you like – this modular design makes it easy to design a matching layout that fits the needs of your space and lifestyle! 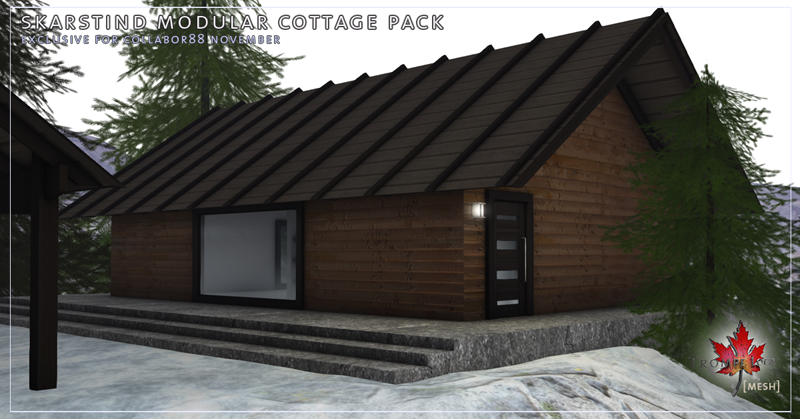 For the month of November, its only $L288 at Collabor88! 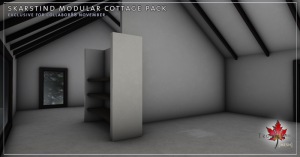 In addition, our new Industrial Lounger and Industrial Chandelier are fun and stylish accents for your home decor. 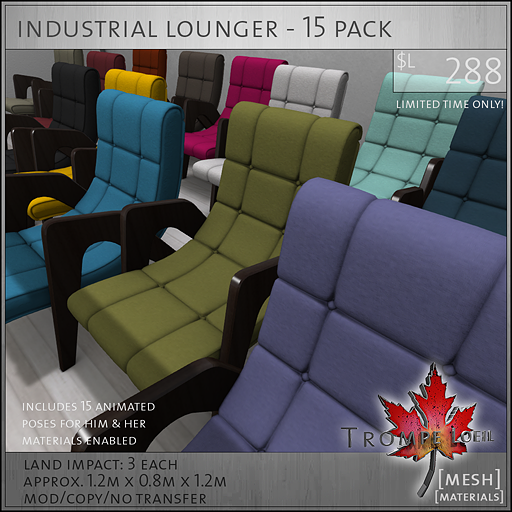 The Industrial Lounger comes in 15 colors, from wild to neutral, and includes 15 animated poses for guys and gals. Get your favorite for $L88, or the 15-pack for $L288! 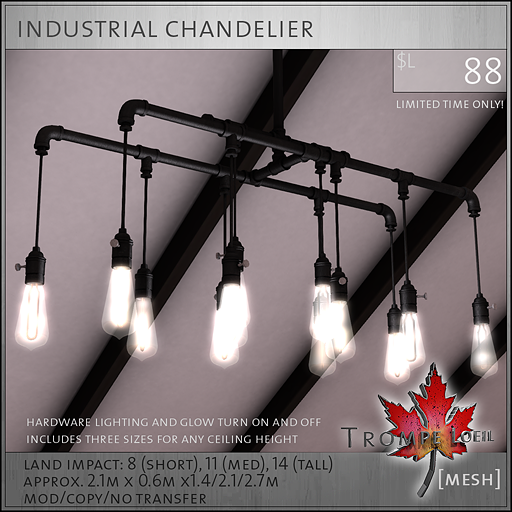 The Industrial Chandelier includes three sizes for any height ceiling, and turns on and off with a touch including hardware lighting and glow. 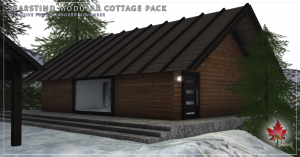 Only $L88 this month at Collabor88!